1. Sit on the floor with your legs extended, feet together and your spine stacked vertically. 2. Bring your right foot out to the right, work your right arm under your right knee and place your right hand on the floor with the fingers pointing forward. 3. Position your left hand on the outside of your left hip and on an equal plane with your right hand. 4. Lift your right leg, rest the back of the knee on your right triceps and then press your hands into the floor to lift your left leg and hips off the ground. 5. Stay in elephant pose for 30 seconds, then reverse leg positions and repeat on the opposite side. Keep your focus on your breathing, maintain both feet pointed and gaze forward. 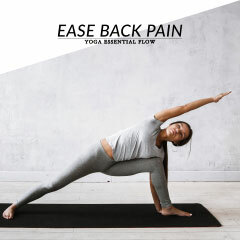 Exhale as you exit the pose and sit back on the floor. The elephant pose helps to stabilize your pelvic area, opens the hips and improves your focus and concentration. 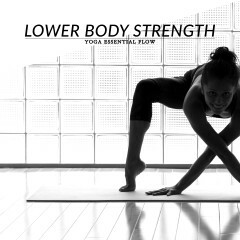 This pose also boosts upper body and arm strength and improves your balance and coordination. Wrist, shoulders or hip injury. Start with easy pose or staff pose and then progress to elephant pose. Follow-up with pigeon pose, head to knee forward bend, or corpse pose.